Where has the year gone?! I cannot believe that we are counting the days until 2012 hit us. 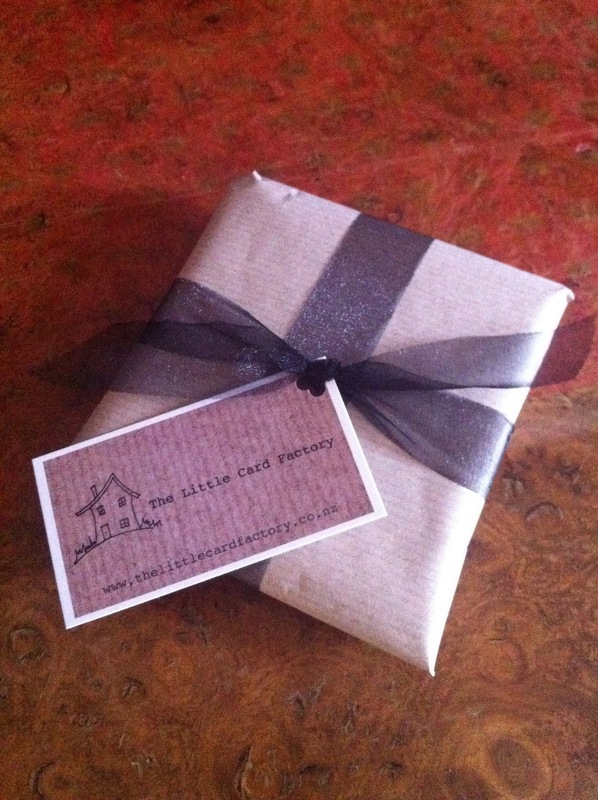 So to finish the year, The Little Card Factory will be at Crafternoon Tea's final Christmas market. So pop in and say hello and if you haven't finished yet, you are sure to find come gorgeous presents to fill those stockings or put under the tree. See you all on Saturday in Kingsland from 10-3. Please keep your fingers crossed for this awful weather to disappear!! Etsy launch - you can now buy online! The Little Card Factory cards are now available to buy online. Please check them out, shipping is available world wide and with Etsy you can shop in your local currency so you know exactly what it will cost. If you have spotted any cards on the Facebook page that you can not see on Etsy, please just email me and I can add them for you. So please check it out and get in quick if you would like Christmas Cards, time is running out! The Little Card Factory is going to be a busy busy bee this weekend with 3 markets across Auckland. Please check out the links and come and say hello. Christmas cards are on sale with 5 different designs available. $5 each or 5 for $20. So to start the weekend, on Friday evening, you can find me at the Forrest Hill School Artisan Craft Market from 4pm. Saturday, you will find me at my usual spot at Crafternoon Tea. Please come and say hello. 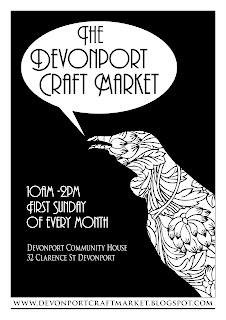 Any finally, Sunday I will be over in Devonport for The Devonport Craft Market. Please all keep your fingers crossed for the sun to shine, and I will see you at the weekend! First off, a big Congratulations to the All Blacks for showing the Wallabies how it is done! What a fabulous performance!! Happy 2nd Birthday to Crafternoon Tea. 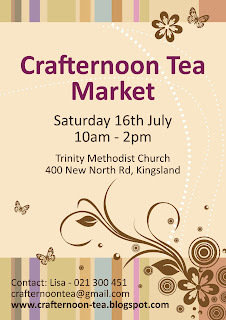 Crafternoon Tea was The Little Card Factory's first ever market, and every month I meet more and more lovely customers. A big thank you to Lisa and Daniel for all their hard work organising every market, we really do appreciate it. All customers from the market went in to a draw to win prizes from all the stall holders. There were some beautiful prizes out there. I hope the winner of my draw is happy with their collection of The Little Card Factory Christmas Cards. Finally a huge huge Congratulations to my gorgeous Grandparents. 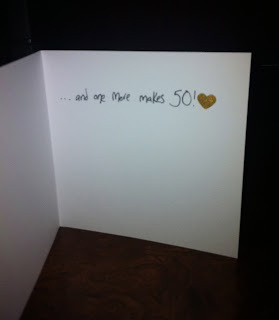 This weekend they celebrated their Golden Wedding Anniversary. 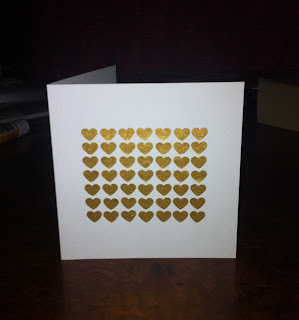 Unfortunately it was a bit far to travel home to join the family for the celebrations, so I opted for making an extra special card. The days are getting longer, and occasionally we are being treated to a warm sunny day which means Summer can't be too far away! Being from England, and only having had one Christmas in New Zealand so far, I am still getting used to the whole 'shorts and t-shirt, where's the BBQ?' Christmas thing. It just doesn't feel quite right. However, Christmas is still Christmas, no matter how hot or cold it is. It may seem early, but before you know it, The All Blacks (or maybe England) will have lifted the Rugby World Cup and it will be the end of October and for those of you like me that need to send cards abroad, it is time to start thinking about Christmas...so here is a little preview of things to come at the craft markets over the next months building up to Christmas.... As always, they are all 100% hand made. Each card individually drawn and coloured in! Rather than selling packs of the same card, you will be able to 'mix and match' your own pack of 6 for a set price or buy them individually. More designs are on their way, I just thought you all might like a little preview! The Little Card Factory will be back in Kingsland this Saturday 17th September, so pop along to check out all the arty crafty goodness that Auckland has to offer...see you all soon. The Little Card Factory is lucky enough to have a table at Crafternoon Tea again! 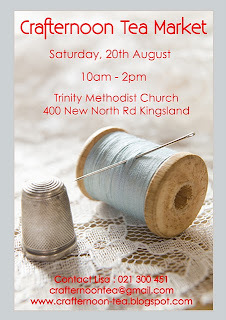 Come along to Kingsland next Saturday 20 August and check out the arty crafty goodness that Auckland has to offer! And don't forget...Fathers Day is Sunday 4th September. All Fathers Day cards from The Little Card Factory are only $5, all cards are hand drawn and typed on a typewriter. (Who needs computers?!) See you all next Saturday. The Little Card Factory had their second craft market this weekend at The Auckland Artisan Market - Parnell. A big thank you to all my new customers. 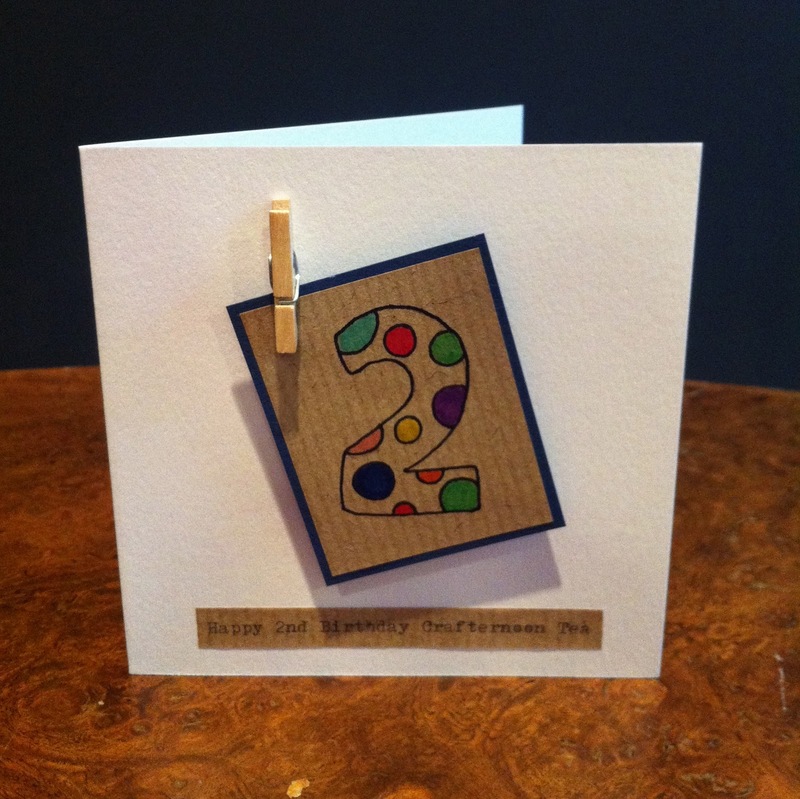 Especially the lovely lady that bought a Happy Birthday button flower card for her friend turning 103! These cards are limited, but any message can be typed at the top, just email me if you would like one. Also, don't forget Fathers Day, Sunday 4 September - all Fathers Day cards are only $5. Come along to Crafternoon Tea on Saturday 20th August in Kingsland to get yours. When it is cold, wet and windy outside, there is nothing better than spending the day working on some new ideas. Fathers Day is Sunday 4 September this year, so I hope to get a nice collection out there for you to give to your lovely Dads. A few photos below...more to come soon! For those of you who like to leave little notes for people, or write lists or even just notes for yourself, I have been making little note cards that come in a 10 pack. Each card is plain white with a small drawn rose in the corner, leaving plenty of space for your notes and lists! They also come with pegs for attaching them to whatever you like, or just sticking up on the wall. So after an extremely busy week preparing everything for my first craft market, it turned out all to be worth it. Crafternoon Tea was a huge success! Time to get back to the typewriter and stock up on some new cards! Keep an eye out for new designs coming soon. 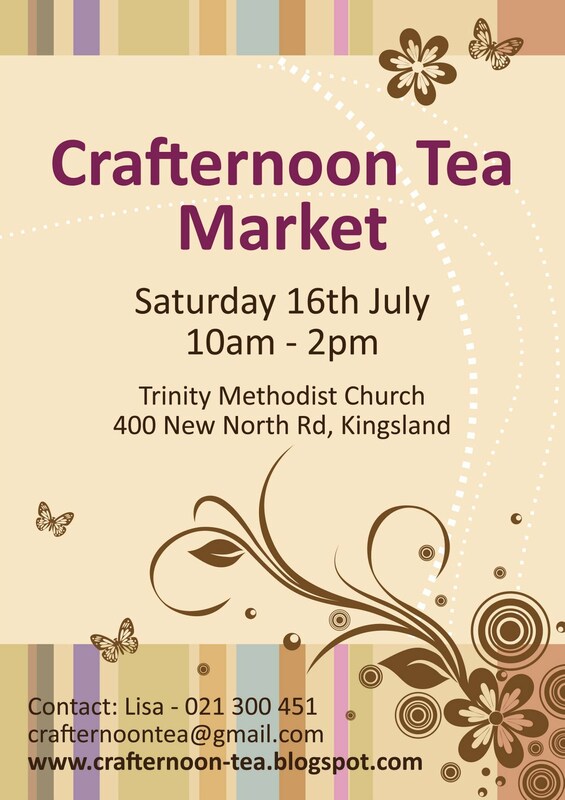 The Little Card Factory is very excited to be having a table at the July Crafternoon Tea in Kingsland. My very first Craft Fair. Please come along if you are in the area to check out some beautifully crafted bits and pieces from around Auckland.